The veranda at Glen Oaks Country Club is such a beautiful place for a wedding, wedding dance, or whatever. 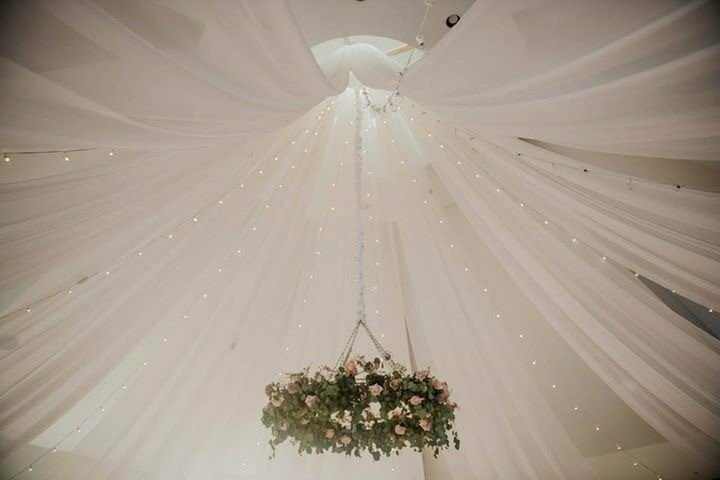 The nonagon facility is adorn with nine white sheer drapes and can be enchanced with bistro lighting to give a night time romantic glow. Call today for pricing to let us help you create the wedding of your dreams within your budget.